Quite possibly the harvest festival practiced in England long before the Pilg rims formed their church was a tradition developed from the ancient biblical Feast of Tabernacles. Leviticus 23:24 establishes what was also called a feast of booths, for the Israelites were to make temporary shelters reminding them what it was like to live for forty years in the wilderness. This feast was also known as the feast of ingathering, for it occurred after crops had been harvested. It was a feast of thanksgiving and joy, celebrating God's goodness. The time of this feast was late September through the middle of October. No work could be done on these days, and this soon became the most prominent of all Jewish holidays. Nothing was secular to the Pilgrims and so this plausible biblical origin for harvest festivals in the fall of the year would have been sacred. 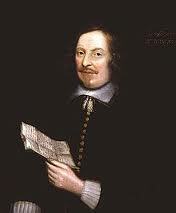 Edward Winslow, one of the Pilgrims who came on the Mayflower, wrote this about the festival: "They began now to gather in the small harvest they had, and to fit up their houses and dwellings against winter, being all well recovered in health and strength and had all things in good plenty. For as some were thus employed in affairs abroad, others were exercised in fishing, about cod and bass and other fish, of which they took good store, of which every family had their portion. All the summer there was no want; and now began to come in store of fowl, as winter approached... and besides waterfowl there was a great store of wild turkeys, of which they took many, besides venison, etc. Besides they had about a peck a meal a week to a person, or now since harvest, Indian corn to that proportion. Which made many afterwards write so largely of their plenty here to their friends in England, which were not feigned by true reports"
William Bradford, Governor of Plymouth Colony and author of his journal Of Plimoth Plantation, writes: "Our harvest being gotten in, our governor sent four men on fowling, that so we might after a special manner rejoice together after we had gathered the fruit of our labors. They four in one day killed as much fowl as, with a little help beside, served the company almost a week. At which time, amongst other recreations, we exercised our arms, many of the Indians coming amongst us, and among the rest their greatest king Massasoit, with some ninety men, whom for three days we entertained and feasted, and they went out and killed five deer, which they brought to the plantation and bestowed on our governor, and upon the captain and others. And although it be not always so plentiful as it was at this time with us, yet by the goodness of God, we are so far from want that we often wish you partakers of our plenty." 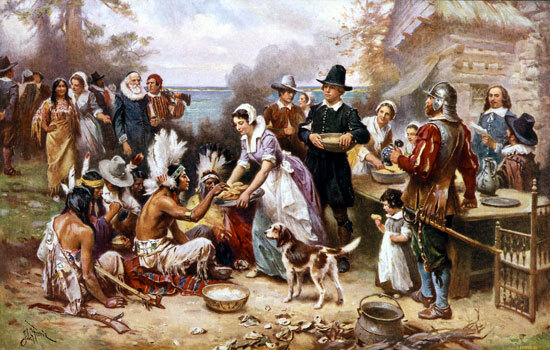 To state that Plymouth had the "first Thanksgiving" requires parameters. 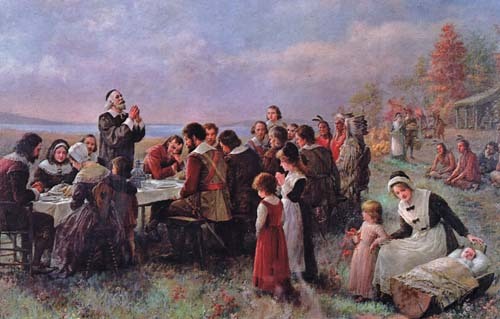 Most cultures have some form of thanking God for a good harvest, and so the Pilgrims were not unique nor were they the first, for that occurred among Natives for thousands of years and also in St. Augustine as well as Berkley Plantation prior to the Pilgrim arrival. However, this harvest festival was unique in some of the following ways that we should remember. First, the harvest festival was the fruit of the Peace Treaty with the Wampanoag in March of 1621. Second, it combined gratefulness to God for both a harvest as well as friendship with their neighbors. Third, it was a three day feast that promoted friendly athletic competition among two cultures. These ingredients certainly make it unique in many ways! The harvest festival we now know as Thanksgiving does share a kinship with the other days of prayer and thanksgiving. They all arise from biblical precedent as holy days set aside for godly reasons. Days of Prayer in the spring and Thanksgiving in the fall lasted well into the 19th century in New England. Every year of the American Revolution the Congress called days of prayer and thanksgiving. George Washington also called one in 1789. 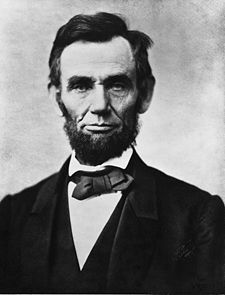 However it was Abraham Lincoln who responded to Sarah Hale's request for a day of Thanksgiving in 1863 which became the origin of our national holiday. He said in part "The year that is drawing towards its close, has been filled with the blessings of fruitful fields and healthful skies... No human counsel hath devised nor hath any mortal hand worked out these great things. They are the gracious gifts of the Most High God, who, while dealing with us in anger for our sins, hath nevertheless remembered mercy.... (it is) proper that they should be solemnly, reverently and gratefully acknowledged as with one heart and one voice by the whole American People." It is time in America to remember to give thanks to God for His mercy and invite our friends and neighbors to do the same. If we lift up the highest ideals of unity, we can face the challenges of the present and, inspired by the past, restore a true American holiday to its godly fruit! We wish you and yours a blessed Thanksgiving! The Plymouth Rock Foundation seeks to foster a greater public awareness and understanding of American history, ideas, and ideals, particularly as embodied in the lives of the Pilgrims who founded the Plymouth Colony in 1620. Dr. Paul Jehle became Plymouth Rock Foundation's third Executive Director in 2006, having been the Foundation's Education Director since 1988. Dr. Jehle began studying America's Christian heritage in 1975. John G. Talcott, Jr. opened his library to Dr. Jehle at that time, and inspired Paul to become a member of the Pilgrim Society, Old Colony Club and the Duxbury Rural and Historical Society, along with other historic organizations. Paul began traveling across the nation teaching on America's Pilgrim and Patriot heritage, holding 20 seminars a year in 35 States and 6 foreign countries. Paul Jehle has a Bachelor of Arts degree in Mathematics from Barrington College, and a Doctorate degree in Education from Whitefield Theological Seminary. Paul began giving walking tours of Plymouth and its monuments in 1978. 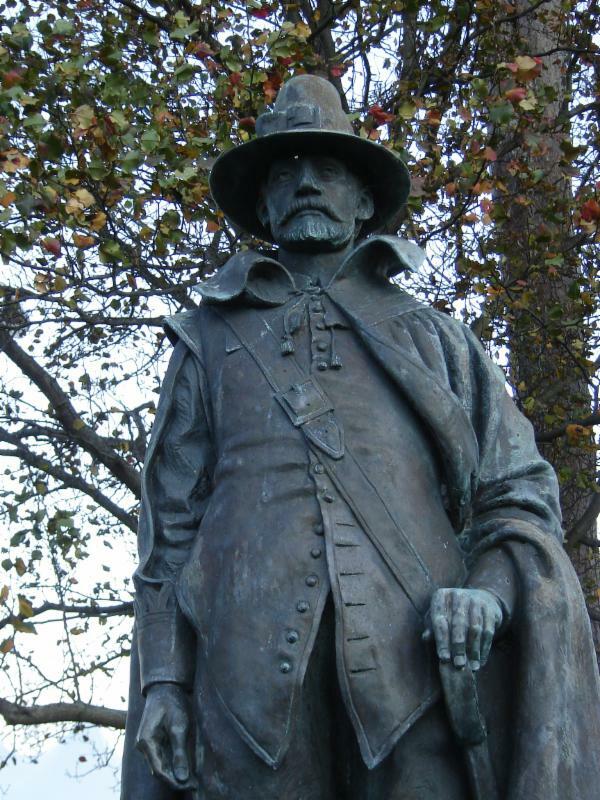 He published "Plymouth in the Words of Her Founders" for tourists and interested visitors to Plymouth and Cape Cod, letting the Pilgrims interpret the monuments erected in their honor through their own words in 2004. Dr. Jehle currently serves on Plymouth's 2020 Commission in preparation for the 400th anniversary of the arrival of the Pilgrims.